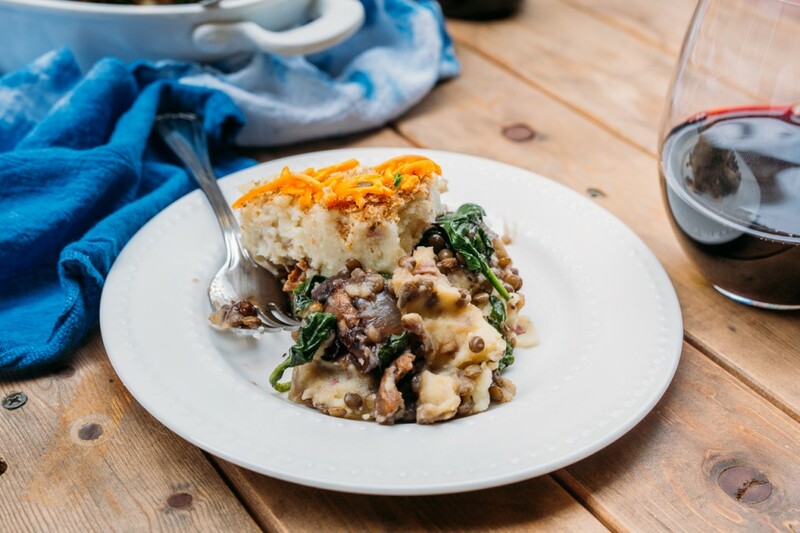 In keeping with this week’s theme of Holiday comfort food, I present to you.. Mushroom & Lentil Shepherd’s Pie. I LOVE Shepherd’s Pie. What’s not to love? 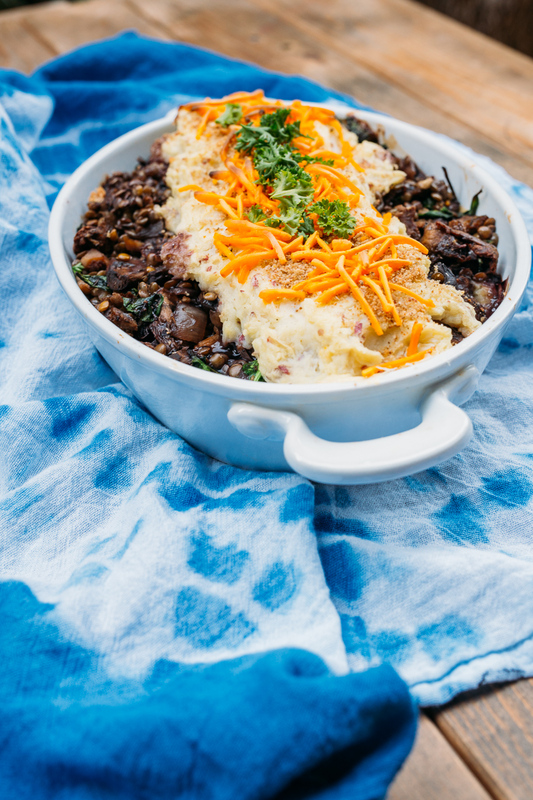 All layered up in one beautiful dish. Plus, it always reminds me of this amazing scene from Friends where Joey eats the pie even though Rachel combined it with a dessert recipe. It’s her “trifle pie”. You can watch this clip while your Shepherd’s Pie is in the oven. I would’ve probably tried it, too (well before I stopped eating meat and dairy anyway). 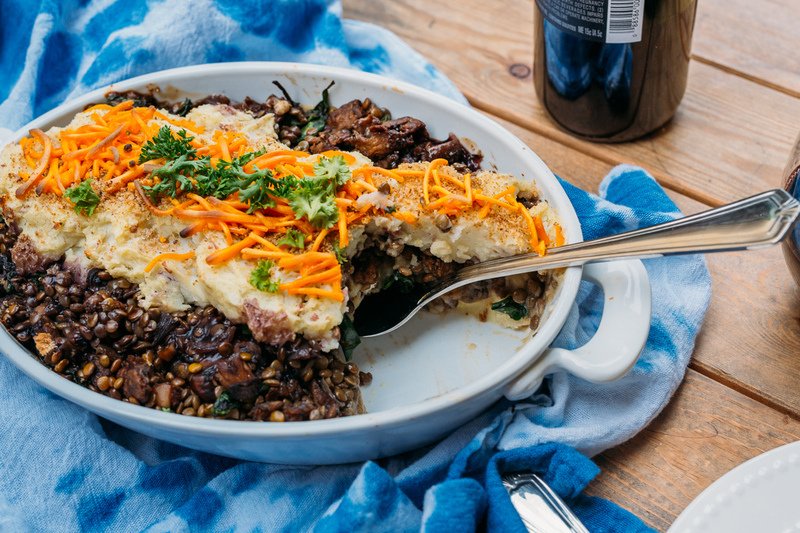 One of my other favorite things about this dish is that it’s basically a casserole — which are perfect for families and bigger groups. You can easily just double or triple the recipe and you’ll be able to feed a small army. 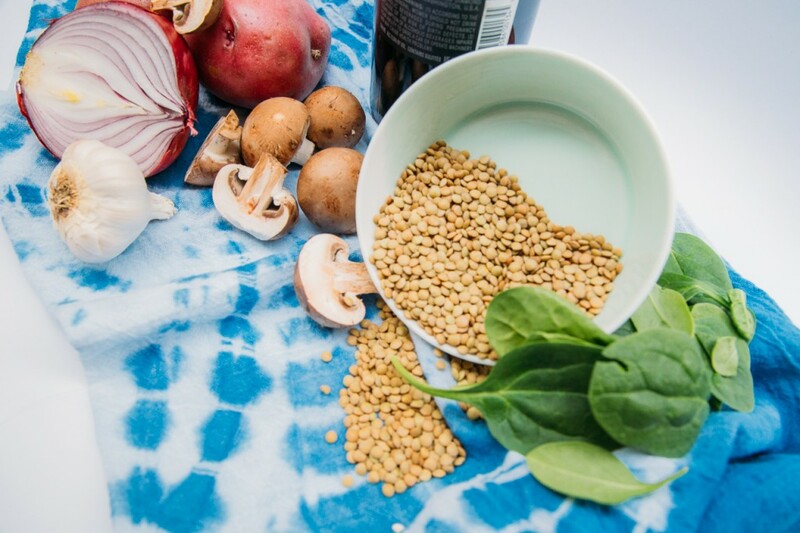 By making a few substitutions (lentils instead of beef), olive oil instead of butter, a little red wine instead of beef stock, you are cutting out loads of unhealthy fats and unnecessary calories. 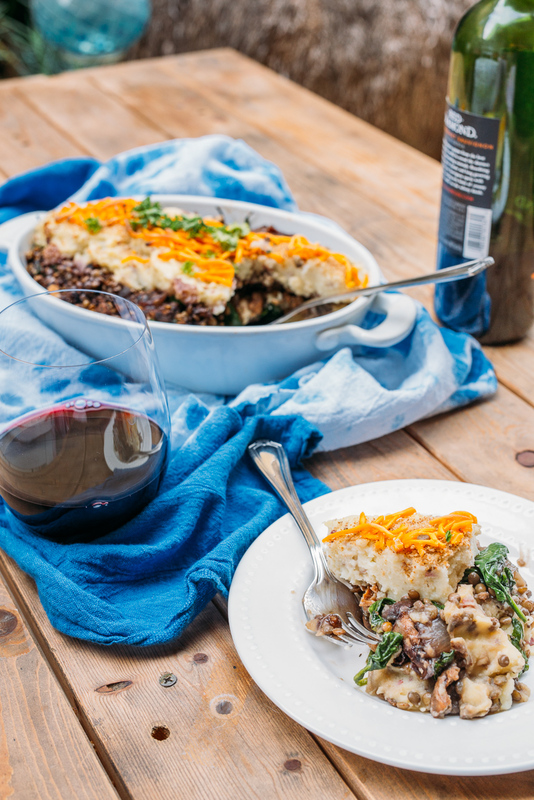 This dish is still comforting/filling, and after all, that’s the whole point of Shepherd’s Pie! Peel and dice the potatoes. Place in a large saucepan with enough water to cover. Bring to a simmer, then cover and simmer until tender, about 20 minutes. Drain and transfer to a small mixing bowl/food processor. Stir the Earth Balance into the potatoes until melted, then add the almond milk and mash (or pulse if using food processor) until fluffy. Cover and set aside until needed. * I used the Ninja to prep my mashed potatoes for this recipe. Add the lentils and their liquid and bring to a gentle simmer. Stir in the optional wine, Bragg's liquid aminos, thyme, and pepper. Cook for 5 minutes. Combine the cornstarch with just enough water to dissolve in a small container. Stir into the lentil mixture. Lightly oil a casserole dish (medium to large in size), or two deep-dish pie plates. Scatter the breadcrumbs evenly over the bottom. Pour in the lentil mixture, then spread the potatoes evenly down the center (like I did) or completely cover top of lentils for a more traditional Shepherd's Pie look. If using two pie plates, follow above instructions and divide each mixture evenly between the two dishes. Bake for 15 minutes, or until the potatoes begin to turn golden and slightly crusty. Let stand for 5 to 10 minutes, then cut into wedges to serve. *This recipe comes out equally delicious without the margarine or olive oil. Mash the potatoes with the rice milk only, and use a non-stick pan to sauté the onion, adding a splash of vegetable broth if needed to prevent sticking. Most regular soy sauce contains gluten. Look for a specially-marked gluten-free version if you're cooking for someone who's gluten-sensitive and omit if soy is an issue.